Your very own fully qualified personal trainer available anywhere, anytime! All equipment is provided. Just bring your own iPod or you can listen to music that motivates Iron Jay! 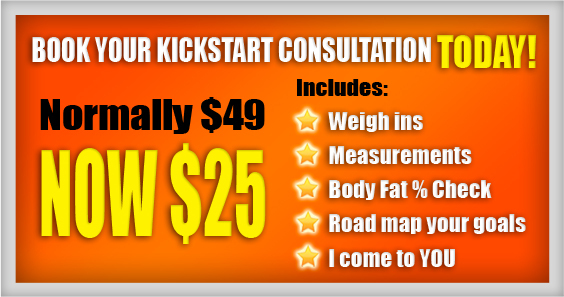 Weekly scale weigh-ins to monitor progress, calculate your body fat %, calliper and measurements. Weekly Nutritional Checks to keep you on the right track.